In my last post on the Illustrated Faith Blog, I created a layout using the Bella Blvd. Whatever Is Lovely collection, and talked about child like faith. And that post kind of led me to what I wanted to do for today's post! Almost all of us that attend Sunday School as a child, learn John 3:16. And I think I sometimes think of that verse as a "children's verse", but when you focus on it, it's the whole foundation of what we as Christians believe and what we are continually told throughout the Bible. 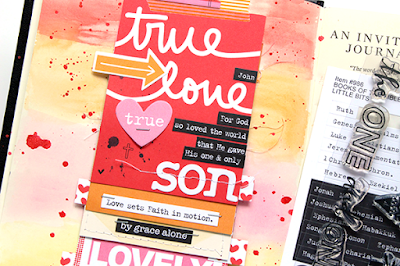 I wanted to use some of the Whatever Is Lovely 3x4s, to create a little flip book at the beginning of my Bible. 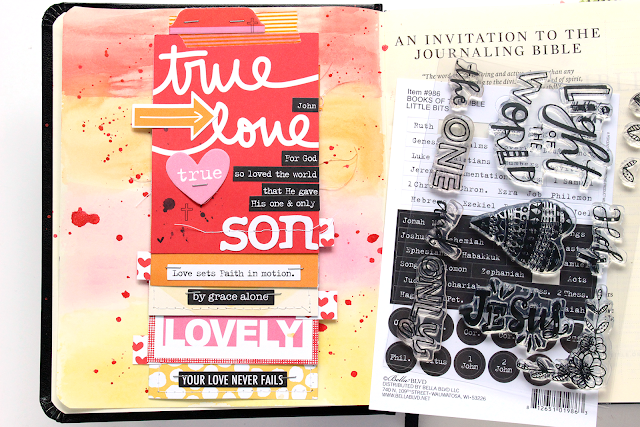 I started with the True Love card, and added some of the Say It stickers to add John 3:16 to the first card. I thought having something like this at the beginning of my Bible would be a fun idea. 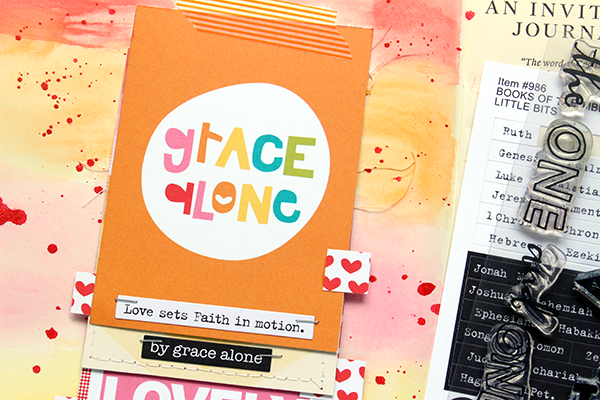 I have a focus verse on the "cover" of my flip book and then I have a few blank cards and the backside of the cards, that can later hold other verses or notes. The flip book would be great for any of the pages in your Bible, that have White space. You could use it for notes, prayers, or just to add some of your favorite verses. 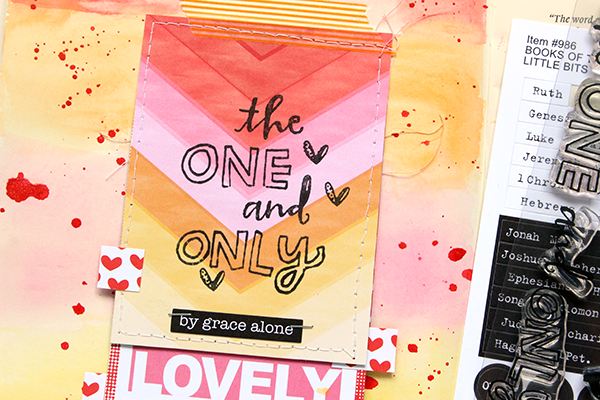 Simple Stories | Pin It & Create It! 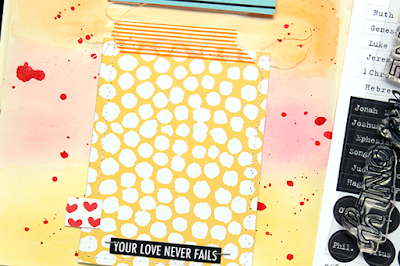 Hip Kit Club September 2015 Kit Reveal!